It’s Sunday 11am, Jacinta has been back in NZ for a week with the littlest, whist I am solo-dad to the 9 and 11yo – only 1.5 weeks to go till Jacinta gets back. I’ve offloaded Miss11 to her friends place, ducked into work – and now sitting outside awaiting brunch with master9 who is doing his best to ignore me. 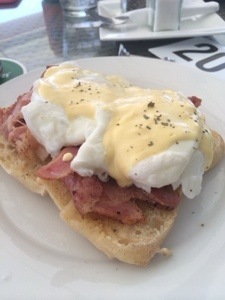 The sails are flapping from the Yacht Club next door, and the cafe is very busy with not a spare table. Beautiful warm breeze, great coffee, cold coke. Before you decide to make the move, ask yourself “is 50 hours too much?”, “is 60 hours too much?”, “is 80 hours too much?”. Am I happy living my job, socializing with my colleagues, getting on each other nerves, dreaming work, having lunch interrupted by someone trying to do a deal, having your evenings and weekends decimated, your wife and/or husband pissed off with you. 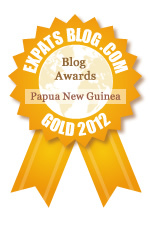 Yup – welcome to your Expat Job here in PNG! That’s not to say that there aren’t great rewards, however most of the unhappy expats are those that aren’t happy with the amount of work… Even harder is seeing other Expats (tax-free ones are the best) going off out of country, or over to Tufi etc, whilst you are doing the hard slog trying to get through to a holiday.